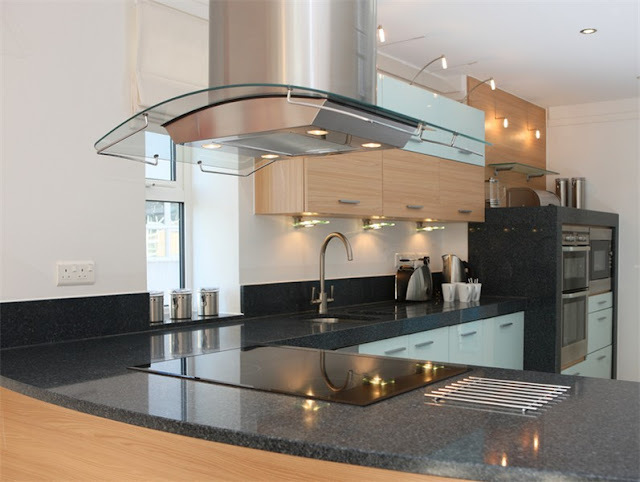 Impala Black granite is quarried from a bedrock quarry in South Africa. Impala Black is a good option if you are looking for black granite countertops but want something a little different from Absolute Black. Impala Black has a grey fleck in it, so it's a bit lighter than Absolute Black, also it's less expensive than the Absolute Black! Impala Black is used a lot for monuments, commercial building exteriors and furniture pieces. You've probably seen this granite somewhere! This is such a dense stone that the slabs are not resined. You don't really need to seal them either. We'll seal them during installation, but honestly we just do it to put the homeowner at ease. Impala Black also looks really great with a honed finish, all the images here are with a polished finish though. Impala Black is available in 2 cm and 3 cm slabs as well as tile. Impala black granite is awesome. 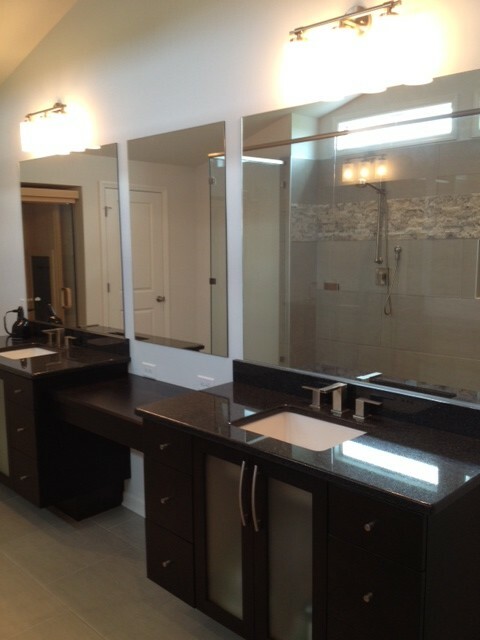 The bathroom is shining, the kitchen is shining too in these pictures just because they all made by black granite. Thanks for this great post.